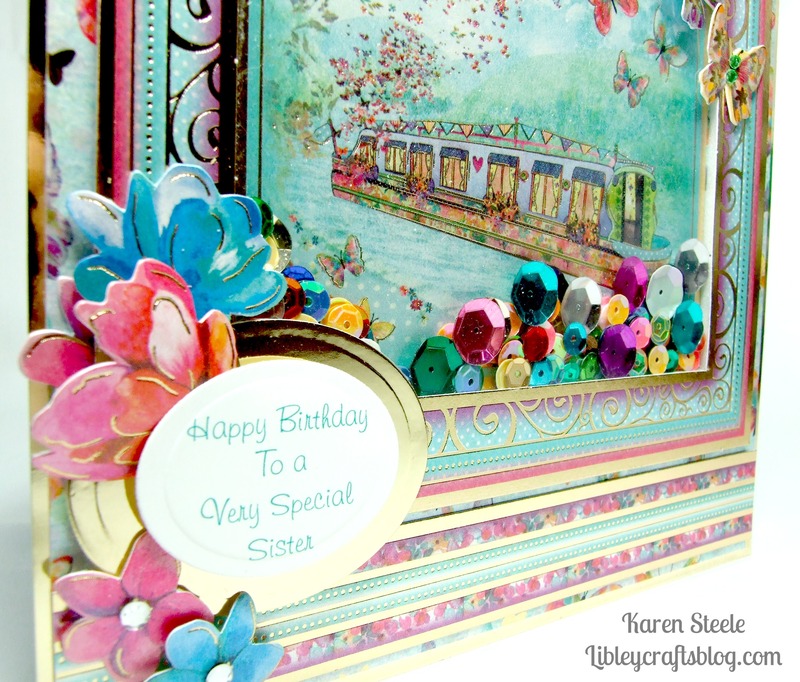 Hello crafty friends 🙂 I thought I would pop in today to share this card that I have made for my sister’s birthday next week. It was made with a Hunkydory kit called Shimmering Pearl and is definitely one, if not my favourite kit that they have produced. The colours are so vibrant and everything is printed on Centura Pearl cardstock so it’s got that lovely pearlescent look to it. 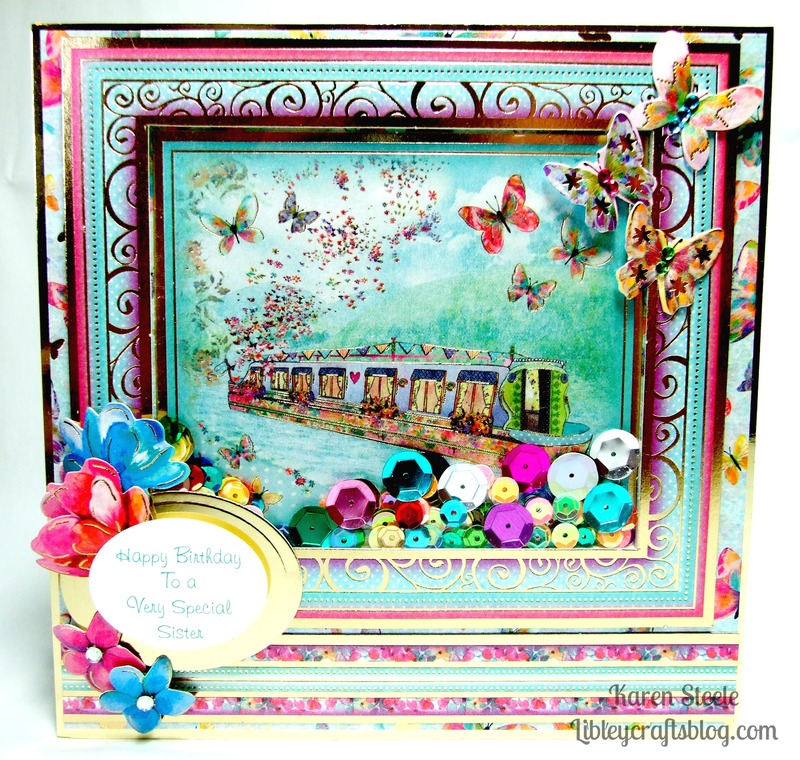 I chose this canal boat image and thought it would look nice as a shaker card, so that’s what I did! I just needed to add some gems to the flowers and butterflies and used a Spellbinders oval die for the sentiment and it was done! Next > ‘Heart Bandit – You Stole my Heart’….. This is so very pretty. Really love the vibrant colors and shimmer. Gorgeous vibrant shaker card…so pretty!!! Your sis will love it! Beautiful!! Your sister is going to love this!